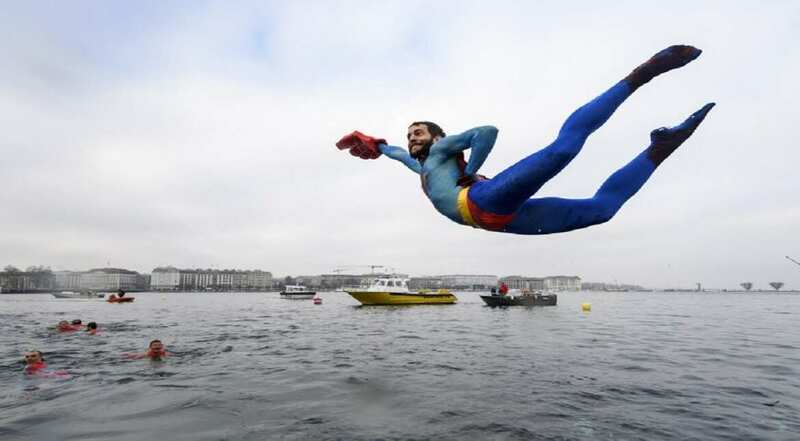 A swimmer disguised as Superman dives into the lake during the 78th "Coupe de Noel"
A swimmer disguised as Superman dives into the lake during the 78th "Coupe de Noel" (Christmas cup) swimming race in the Lake Geneva, in Geneva. 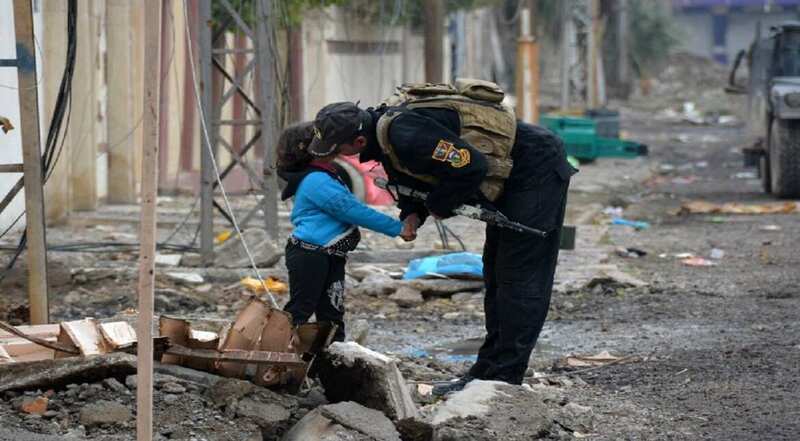 A member of Iraqi special forces kisses a child in the neighbourhood of al-Barid east of Mosul during their ongoing operation against Islamic State (IS) group jihadists to take back their city. 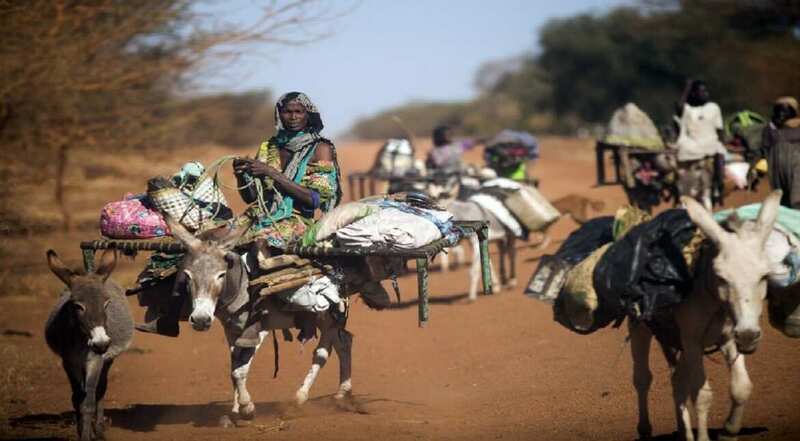 A woman rides a donkey as nomad families from the Misseryia area in Abyei region migrate from north. On the beginning of the dry season, the community moves to the south. 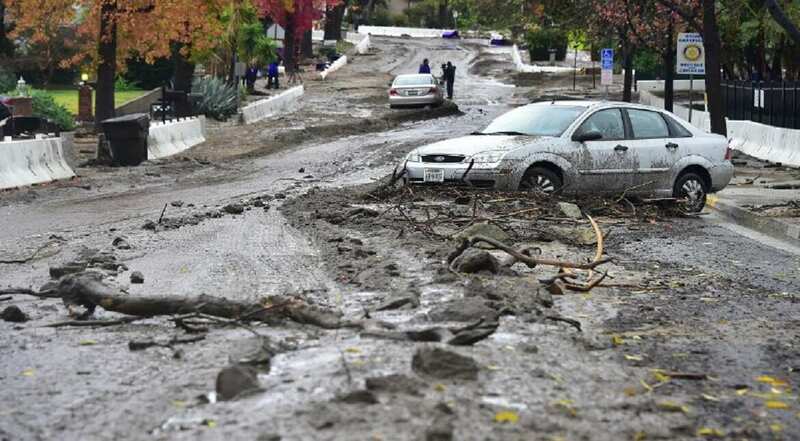 A vehicle seen stuck in the mud which flowed down Melcanyon Road in Duarte, California as the biggest rain storm of the season hit southern California. 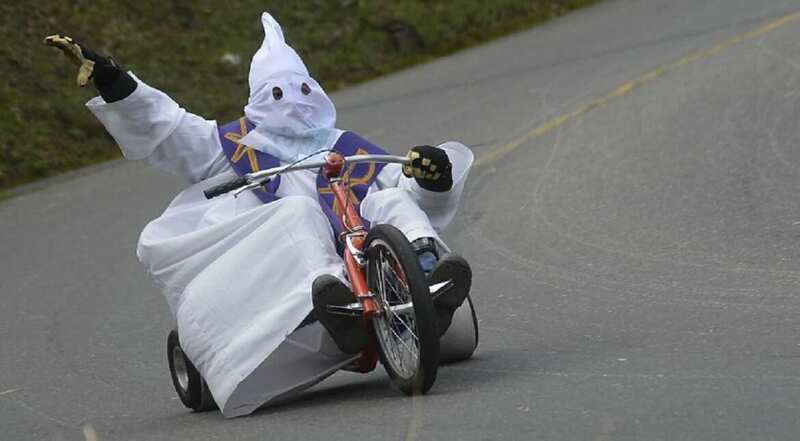 Participants fancy dressed go downhil in the XXVII Cart Festival in a homemade cart in the Santa Elena Municipality, near Medellin, Antioquia department, Colombia. 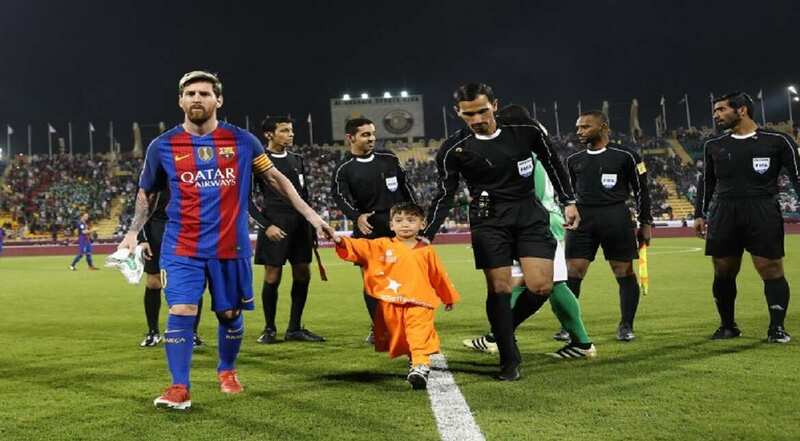 FC Barcelona Lionel Messi holds the hands of Afghan boy Murtaza Ahmadi on the pitch before the start of a friendly football match against Saudi Arabia's Al-Ahli FC in the Qatari capital Doha. 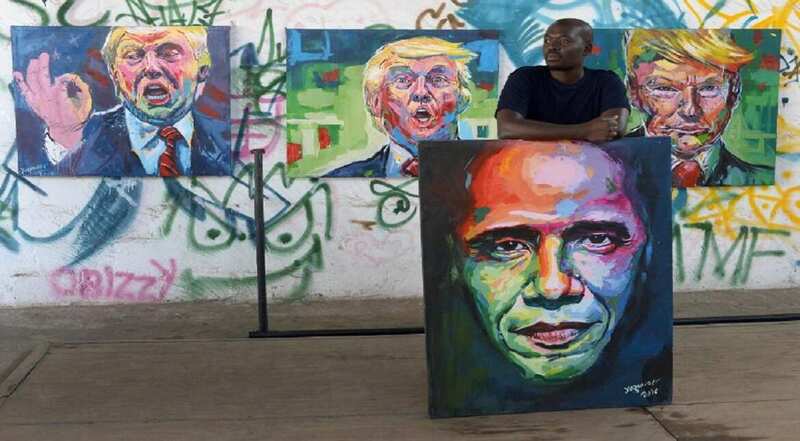 Kenyan artist Evans Yegon aka "Yogonizer" poses with his paintings of USA President Barack Obama and president-elect Donald Trump at his workshop at the GoDown art Centre in Nairobi.